Japan and other Asian territories have long been held up as the bellwether for player behaviour in the West. Trends like free to play, social gaming and trading card games to name a few rose to prominence in Japan before exploding everywhere else. Which makes the fact that Monster Hunter, one of the most popular franchises in Japan for years is still struggling to make an impact in the West fairly strange. Capcom thinks it might have to do with the way players interact when it comes to co-operative play (the heart of the Monster Hunter series) in the West. Japanese players will meet in real life at Wi-Fi spots to collaborate in taking down a monster, while Western players prefer to play online from home. 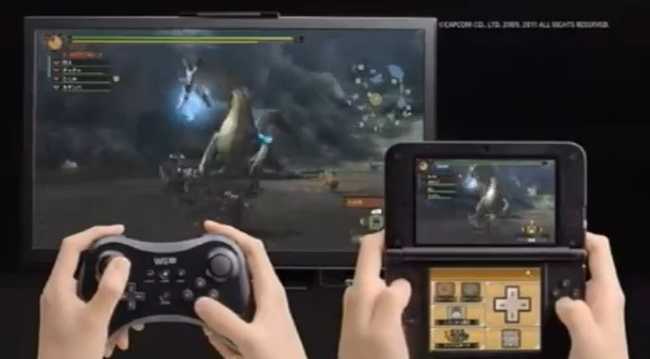 That’s where Monster Hunter Ultimate 3 comes in, adding online and cross-platform play on both Wii U and 3DS on its Western release a month from now.